Assertion (A): Secondary instruments require calibration at frequent intervals. Reason (R): Secondary instruments have many errors. A thermocouple instrument can be used over a very wide frequency range. Assertion (A): A ballistic galvanometer is used to measure charge. Reason (R): In a flux meter, the damping is large. Which of these instruments has highest power consumption? The resistance of voltmeter affects the accuracy of measurement in loss of charge method. A hot wire instrument is not affected by stray magnetic fields. Assertion (A): If the reading of an instrument is low, the error is large. Reason (R): The error of an instrument is certain percentage of its full scale deflection. Assertion (A): A transducer needs an output measuring or display device for measuring a non electrical quantity. 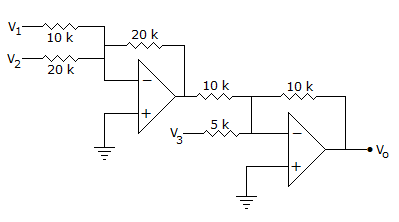 Reason (R): In some transducers the output voltage is too small and needs amplification before it can be measured. 1. Dynamometer wattmeters can be used for dc only. 2. Induction wattmeter has higher torque and dynamometer wattmeter. 3. Induction wattmeter is less accurate, has more power consumption and more weight than dynamometer wattmeter. Assertion (A): When frequencies of signals fed to X and Y plates of CRO are multiples of each other, Lissajous pattern is displayed on screen. Reason (R): In a CRO, the vertical deflection is proportional to voltage applied to Y plates. A megger has a hand driven dc generator. The coils of Drysdale polar potentiometer are wound non-inductively. Which of the following draws minimum power from source? In a phase shifting transformer the currents in the two stator winding are in phase. A Maxwell's bridge has the unknown inductance in one arm and resistance in the other three arms. Which of these instruments is dynamometers type?